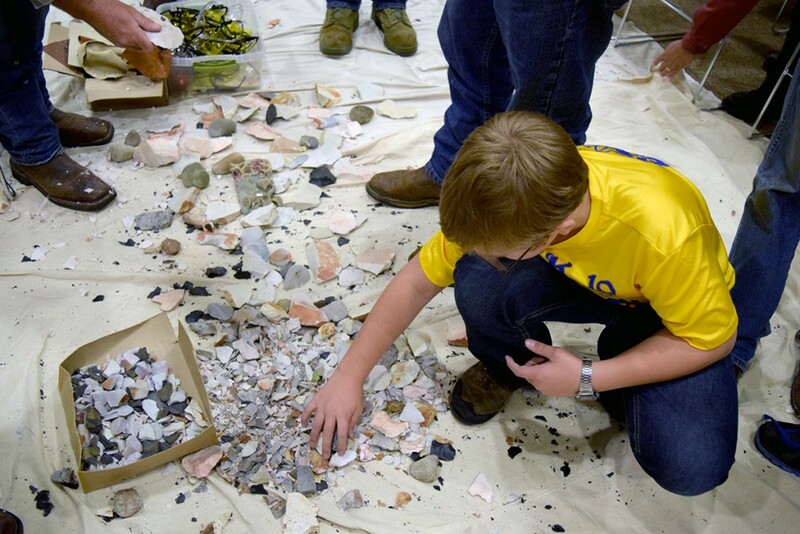 A Cub Scout from Pack 19 in Fort Smith learns about flint knapping. 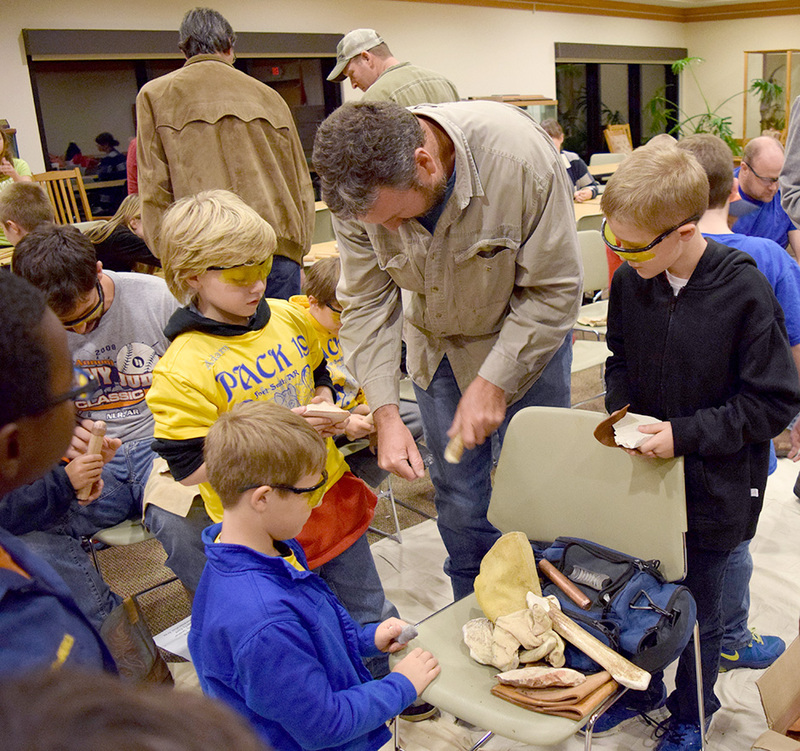 A flint knapping and prehistoric technology demonstration was held Tuesday night November 17th at the Janet Huckabee Arkansas River Valley Nature Center in Fort Smith. The event was conducted by the Arkansas Archeological Survey. 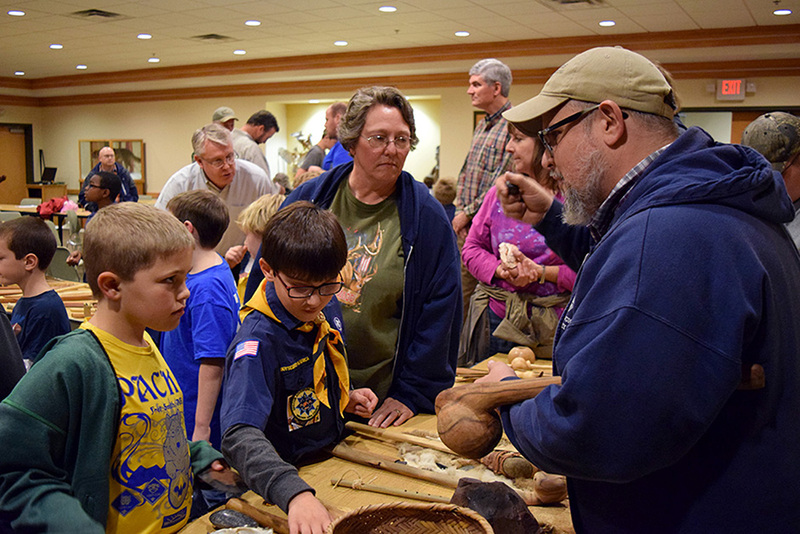 Around 87 people of all ages attended the event, including a large number of Cub Scouts from Pack 19, Fort Smith. Mike Evans led the flint knapping demonstration with the help of UA Fort Smith station archeologist Tim Mulvihill. Flint knapping is the process of making stone tools, such as spear or arrow points, from chert or similar types of rock. 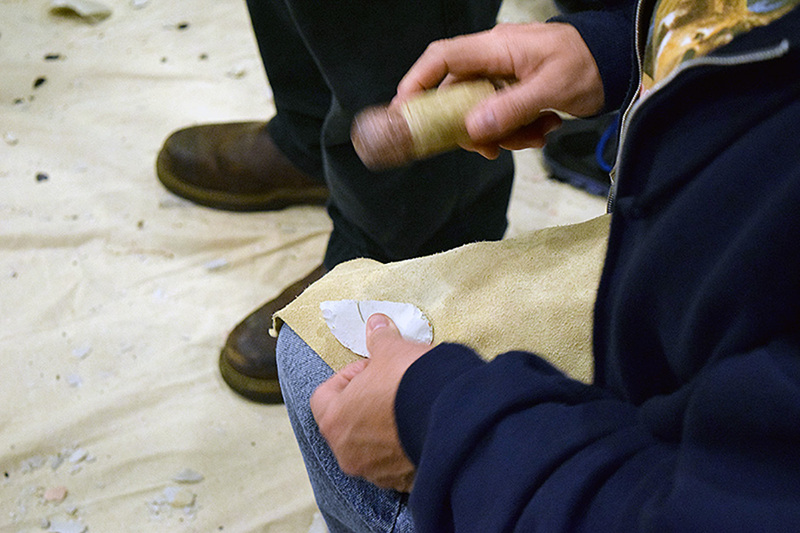 Participants were introduced to the tools used in flint knapping, including hammerstones and antler billets, which are used for percussion flaking, and pressure flakers made from deer antler tines (or modern counterparts made from copper), which are used to finish or resharpen the points. UAF station archeologist Dr. Jamie Brandon showed replicas of bows and arrows, atlatls and other tools to the workshop participants..
Quite a few of the attendees tried their hand at flint knapping. Jared Pebworth and Dr. Jamie Brandon also talked with visitors and showed replicas of bows and arrows, atlatls (spear throwers), spears, hafted axes and celts, and even a blow gun that participants could try! They also explained how these various tools were manufactured and used.